“To manufacture the best boats you can buy we don’t use magic. It’s all down to hard work, passion, experience, and confidence. We are a team of master craftsman; experts who take great pride in building boats that will change peoples lives. Because we are builders we can design and manufacture a boat to fit any specification/requirement/dream! We can also customise existing stock boats to better suit the needs of its new owners. Indeed, we have an onsite and online chandlery as well as in-house furniture manufacture to cater through to the finishing touches. is to introduce more people to freedom of travelling along the beautiful rivers & canals of Britain and Europe, whilst offering the ultimate built-in comfort and luxury. You decide what goes where. Would you like a high-level oven in your galley? We can do it. Would you prefer a bath tub in the bathroom? Let’s make that happen. Living aboard has never been easier. Working on 3D designs, you can plan and apply changes with ease on the screen before production starts, you can see exactly what you are paying for. We manufacture our own furniture, which gives you a massive choice in terms of colours, materials, and finishes and you can be sure they will fit perfectly in your boat. Our customers have direct access to expert advice from our designers, who with your input can customise and design your boat from the very beginning. Mix and match a few key options to find your dream boat! Our Narrow boats, Wide Beams & Barges are built to order and for sale from stock. They come supplied with official RCD (Recreational Craft Directives) documentation ensuring suitability for sale and use in UK and Europe. We build them according to the safety guidelines as supplied by the British Marine Federation. Designed to maximise control, safety, and manoeuvrability our boats are easily handled by all, from the unexperienced with just a little training, to the fully experienced boater. Our standards start at the top. With a powerful Vetus engine (guaranteed 5 years), backed by Vetus running gear (guaranteed 3 years) at the very heart, and a well-designed hull that cuts through the water. We offer 3 years guarantee on our own exterior paintwork, 1 year guarantee on all timber products & internal fit-out. Up to 17 years guarantee on selected partners’ products. All other equipment is supplied with the standard manufacturer’s guarantee. Our hulls are professionally sand blasted first and sprayed with epoxy primer. We then apply two coats of two pack, high build primer above the water line. Finally, we add two pack gloss top coat to give you the ultimate protection with a long-lasting shine. Below the water line we apply two coats of pitch epoxy, which we estimate will increase the haul-out and blacking periods by at least two to three years. Your boat will be supplied and fitted with sacrificial anodes. We have the equipment on site to take care of your boat. From heavy lifting equipment to load and launch your boat here at the beautiful Redhill Marina, to the heated workshop that ensure your boat is manufactured and cared for in the best possible environment. Our technicians have more than forty years of boat building and living aboard experience. An important asset for us because it mirrors our passion in showcasing how wonderful life could be, aboard one of our boats. We always remind ourselves what it means to be a boater and what we would want from a boat. This creates a bridge of trust between our customers and ourselves. You really like our boats and the way we work, but you feel your budget may not allow you to fulfil your dreams? Ask us about finance opportunities. We will direct you towards your best options that suit your budget. Our boats are ready to launch, supplied with diesel in the tank, gas, soft furnishings and cruising kit. For your peace of mind, we include a hand-over. We will accompany you on your maiden voyage, providing you with simple and understandable information on how to steer your boat and use its equipment. Our beautiful boats are reliable, practical, safe, and user-friendly for both new and experienced boaters. The investment we made in the latest technology, allowed us to offer a level of craftsmanship that is unique in the industry. We only use high-end materials and equipment to make sure we deliver the boat of your dreams. A testament to the care we take when working for you. Buying a boat is such an important decision, just as important as choosing who builds it for you. We are not just boat builders, we are boaters too. All our hulls are made from a high quality structural steel chosen for its ability to be welded and its ductility. It is a low carbon steel with small alloying additions to get the strength required. It is an ideal material for building boats. The base plates are 10mm, hull sides at 6mm and cabins at 5mm. After shot blasting, your hull passes into our dedicated heated paint shop. Here your hull will be faired, sanded, and prepped by our expert team of technicians. The shop temperature is automatically controlled. This allows us to paint boats in a dry, temperature-controlled environment, avoiding any risk of condensation and or frost that would affect the paint and the materials. Powered by a Vetus engine you can rely on. Quiet and smooth in operation, it will give you years of trouble free boating pleasure. The equipment onboard carefully selected from the Vetus range. Here at Nottingham Boat Co we love Vetus equipment. It is of exceptional quality with a global dedicated network of Vetus dealers on hand to support you if you ever run into trouble. Nothing but the best, your boat will feature karndean flooring throughout. It forms a waterproof flooring that is both flexible and hard-wearing. Ideal for life onboard a boat. At Nottingham Boat Co we build new boats that can suit everybody’s needs, at all different levels of fit-out. And it has never been easier! Thanks to our amazing designing team you can order anything from a DIY Steel Boat Kit that you can weld yourself, to a fully constructed steel shell at different levels of completion to suit your requirements. From a Shell to a Sailaway basic, Sailaway +, up to and including our fantastic Premier bespoke full fit-out. It’s a journey to building you the boat of your dreams, and you have the option to stop at any point that best suits your situation. We love to talk about boats and we are always more than happy to welcome you into our showroom where we can have a first discussion about what you are looking for in your dream boat. 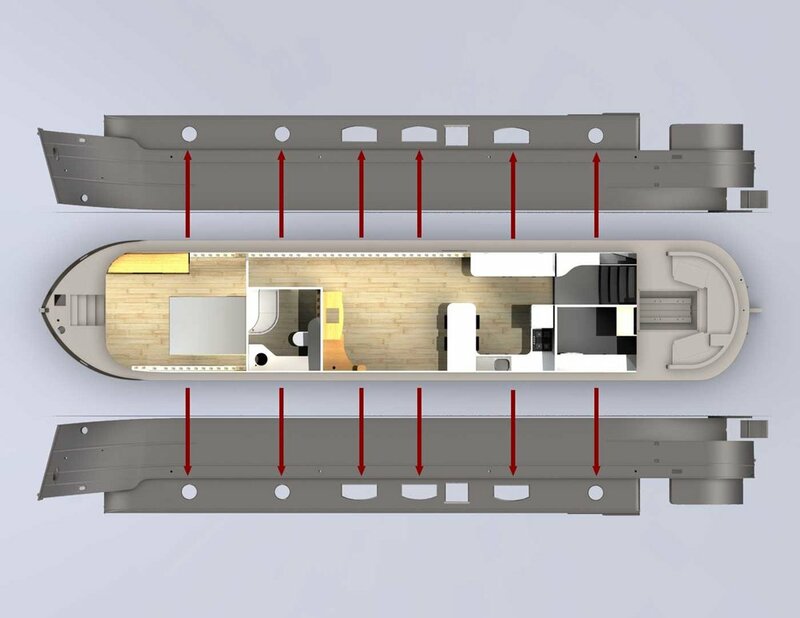 Tell us about the layout you envisioned for your boat. Which rooms do you need and where would you like your windows? We will easily create a 2D floor plan that shows you a basic plan according to your requests. 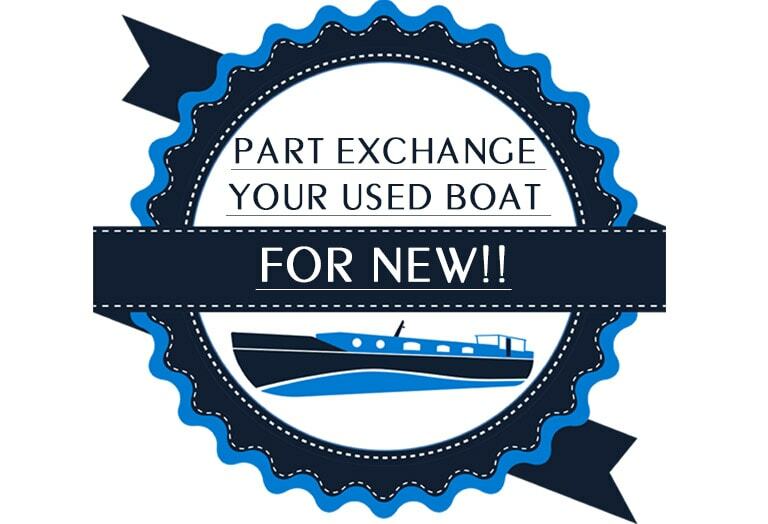 We wish to give you as much support as needed to get you the boat that you want. If you have no idea where to start, don’t worry we will make sure your plan won’t fall into structural issues or common designing mistakes. We can advise you on what is going to be best for you according to your needs. Always remember we are boaters like you.